The original 'jerrycan' was a steel container used for fuel during the second world war. However, many of the jerrycan reincarnations used today are manufactured from robust, lightweight plastic, resulting in a more practical container, just like our high density polyethylene (HDPE) plastic jerrycans. HDPE is food grade approved and compatible with many different chemical solutions. It provides a great moisture barrier for a huge variety of products, including, but not limited to, oils, lubricants, resins, paints, foods, toiletries and detergents. 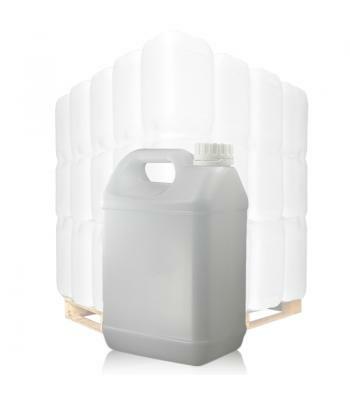 Our reliable industrial jerrycan containers are available in the following sizes: 1 litre, 2.5 litres and 5 litres. 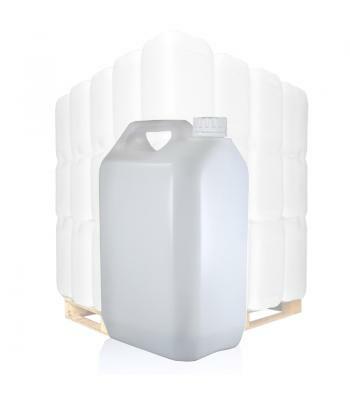 The 1 litre and 5 litre capacity containers come in opaque white plastic, with 2.5 litre and 5 litre jerrycans available in a natural, translucent plastic for fill level visibility. 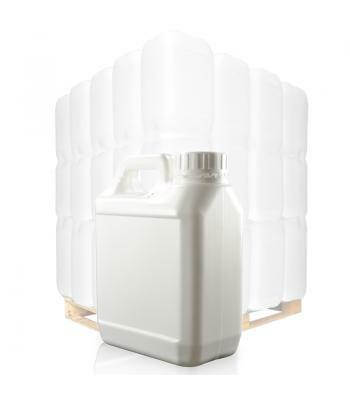 Each jerrycan comes with a 38mm white tamper evident screw cap, to prevent contamination during storage and transit. These extrusion blow-moulded containers also come with integrated handles, making them easy to carry and pour from. Our jerrycans are held in stock, resulting in fast delivery for when your business needs them. They are all round, versatile industrial containers that you can rely on.